Many of the Guide's suggested learning activities will be enhanced with the Terra Experience Teaching Kits of Mayan "Fun Stuff". The Kits provide "hands on" examples of many of the Arts and Crafts pictured in the Coloring Book and its Teacher's Guide. You can also purchase two versions of Marilyn Anderson's "Maya Arts and Crafts of Guatemala: Artes & Artesanias Mayas de Guatemala" coloring book from Terra Experience. (Note doll is not included but many different 16" & 18" dolls are available. 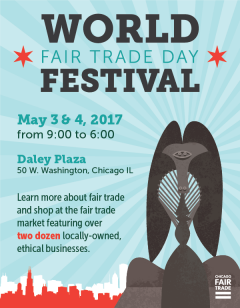 If you are thinking about buying a doll, consider the Fair Trade "Maya Traditions Doll" or check out other options. A doll-sized gourd . Gourds come in an incredible number of sizes and shapes. Some are used as water carriers others as ceremonial or everyday drinking cups others for storage. Kit  Child-sized Mayan carrying cloth (tzute) The tzute or carrying cloth is used for carrying an infant, items to and from the market and many other functions. 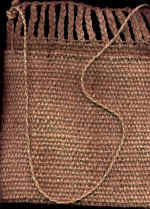 The tzutes included in this kit are usually handwoven on a back-strap loom and measure at least 30" x 30". The tzutes are each unique and have been used. They are generally in good shape, but may have some spots or light wear. The tzutes also make nice table cloths once you have finished using them to carry things. You will find instructions on how to make a bundle to carry on the arm (or on the head ) in the Guide: LEARNING FROM THE MAYA. Kit  16" or 18" Doll Sized Mayan Carrying Basket (canasto) & Cloth (tzute) In Guatemala, they use the word canasto for a basket with no handle. (Notice this in the coloring book. ) The canasto is the traditional Mayan basket. The tzute cloth is used to cover things in the basket and are also often used instead of a hat to shade the head. Most that we sell are from Solola. 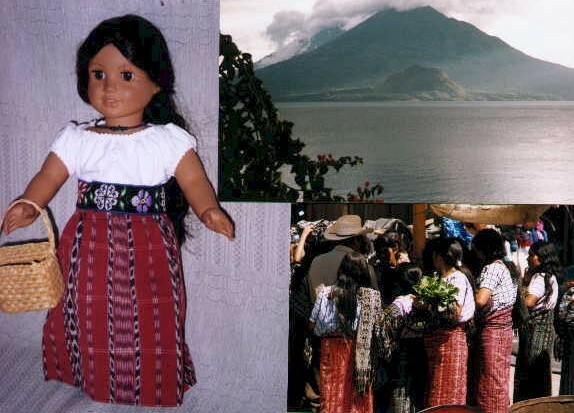 Check here for pictures of Solola. Kit Example of a Small back-strap loom - doll or small child size is from San Antonio Aguas Caliente. . Comes in a rainbow of colors. The loom contains all the rods of a backstrap loom, in a scale that might be used by a young Mayan girl as she tries her first weaving. Even if a Maya girl of seven or eight might weave on a backstrap loom most of us in the US or Canada need to be experienced weavers to actually use the loom. So unless you are a weaver, its probably best plan to use it as a wall hanging or loom for your doll. Some of the weavings have the characteristic San Antonio Aguas Caliente weavings where the design looks as good on the back of the material as on the front. If you are interested in learning more about about San Antonio Aguas Caliente you might want to purchase or get from you library the book "A Life of Their Own" by Aylette Jenness & Lisa Kroeber.